The blue beast is back! 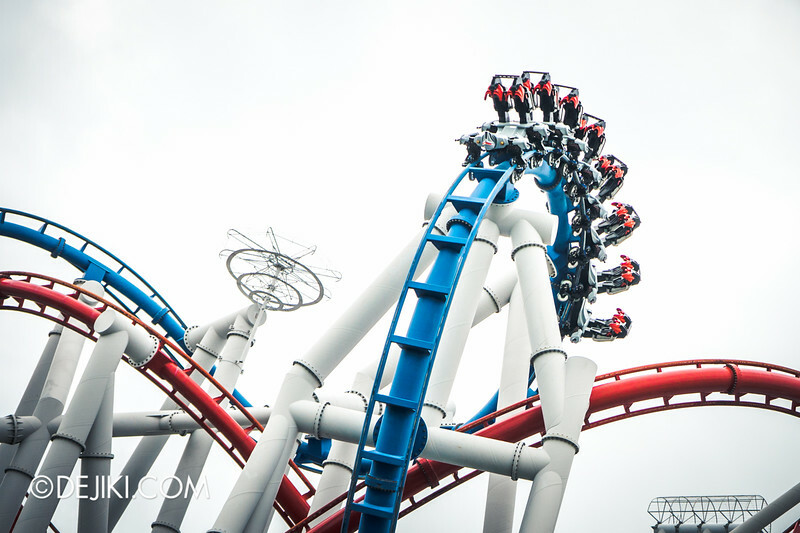 Read about the return of Universal Studios Singapore’s Battlestar Galactica (BSG): HUMAN vs CYLON and the park’s new seasonal events in this month’s park update! 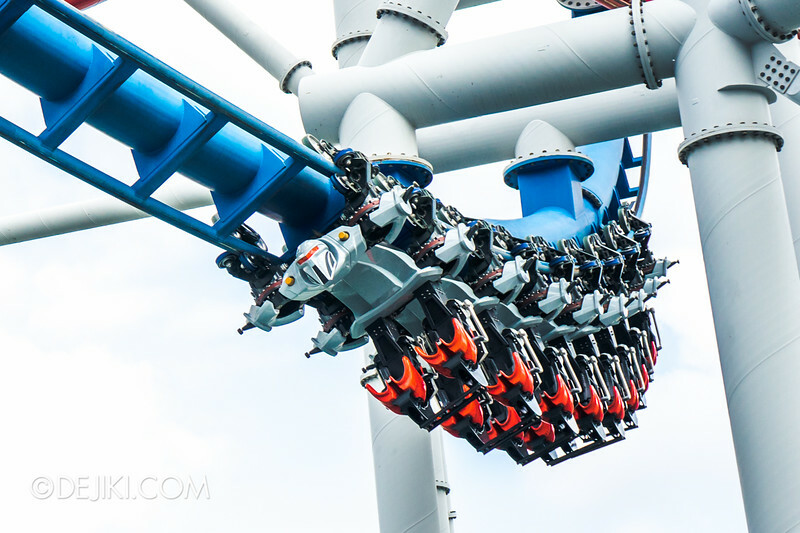 Battlestar Galactica – Faster and Lighter. 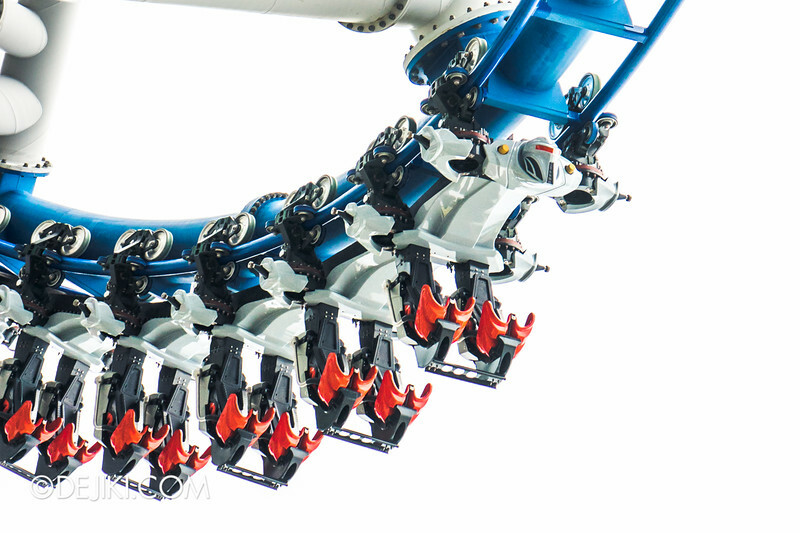 The world’s tallest dueling roller coasters are on track to reopening soon. 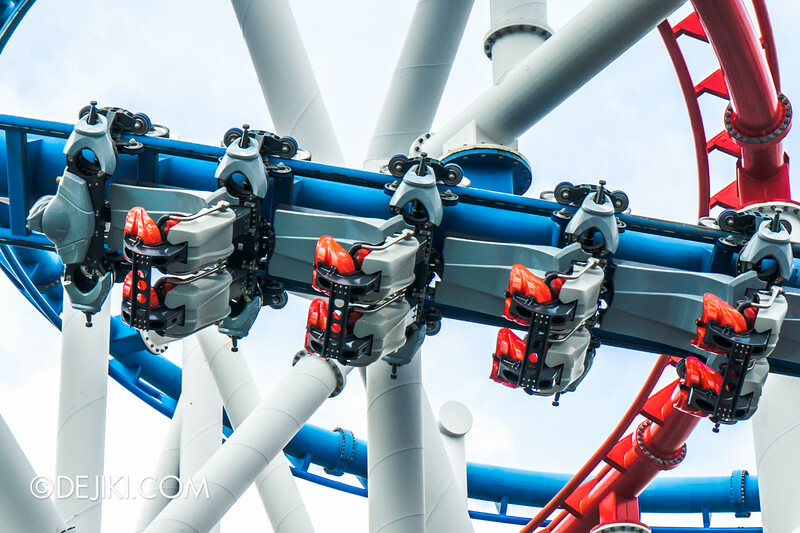 Day-time testing of the CYLON (blue) roller coaster has commenced a few days ago. Yes, a new CYLON RAIDER has soared in the air. Alone. Note: The attraction is not available for guests; this ride is not open yet. 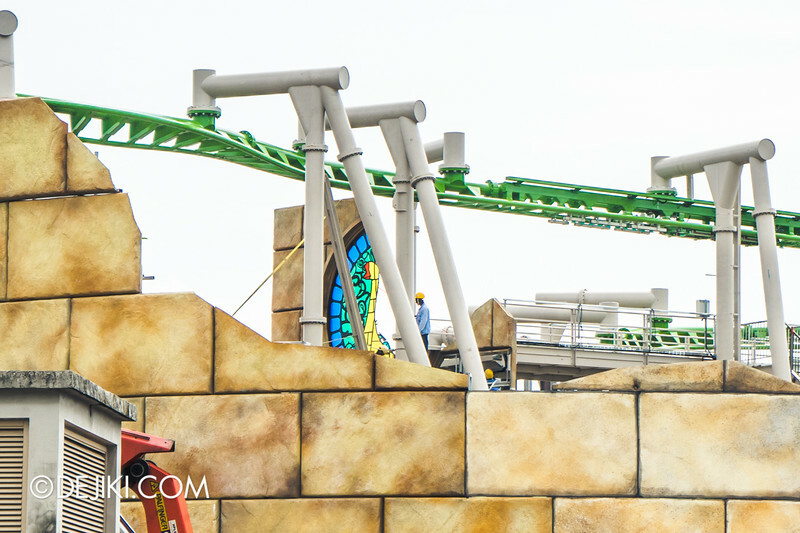 Day-time test cycles are part of preparations necessary to reopen the ride, which will happen at a later date. As I mentioned in past updates, the ride vehicles are modified. However, it’s not a simple modification – it’s more like an overhaul. Thus, we should be refer it as The New 2014 Cylon Raider. Sounds like it’s a new car launch. With this change, it may also mean that taller guests can take any seat now, as the previously “height restricted seats” are no longer available. Like I said, it’s just BSG:CYLON making its rounds in the air for now. BSG:HUMAN’s Viper will be joining the aerial battle shortly. 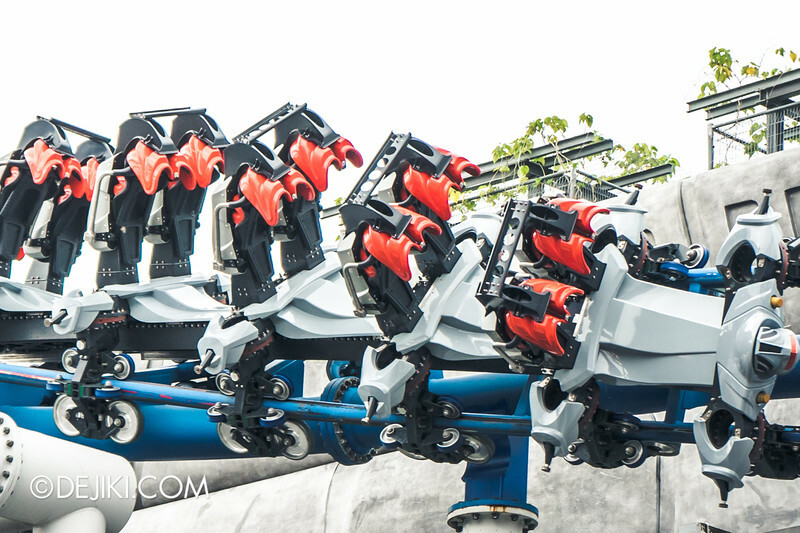 The trains look like the new Vekoma SLC trains, except that they seem… more reinforced. The structural core looks more bulky, with thick frames holding up everything. The ride posts are also much thicker and no longer cylindrical, and both seats are further reinforced with that extra bar at the bottom. With half of the original capacity, the trains are lighter than the previous iteration. I have also been informed that BSG:HUMAN will now be capable of achieving a higher top speed of 110km/h (from 90km/h in the last iteration). It is unclear if the red train will always operate at the higher speed, and also if BSG:CYLON will get a speed boost. Look at it go! According to fellow theme park enthusiasts, the train does sound quieter and it looks smoother. We’ll only find out once the ride reopens. 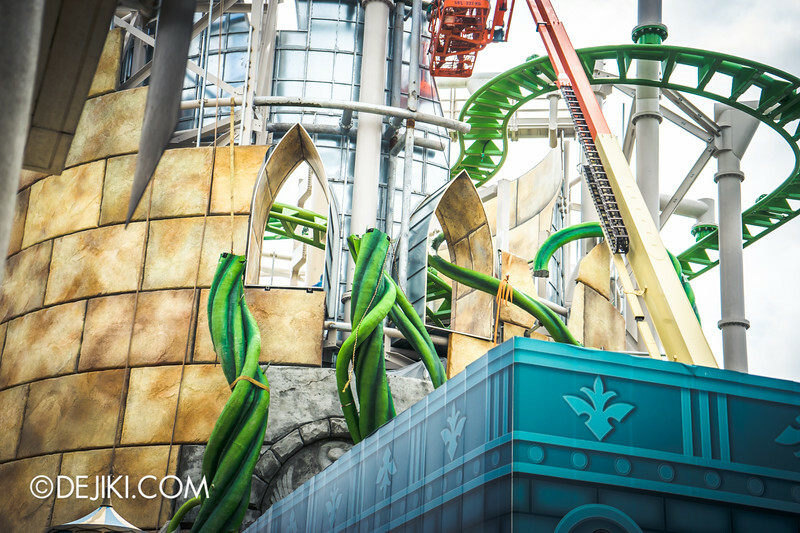 Either way, you can still hear the signature Battlestar Galactica Launch Track™ and Battlestar Galactica Roar™ sound effects across the park’s lake. As the world’s only website that has documented the entire affair of Battlestar Galactica’s closure and reopening (all the way from July 2013) I am glad to say that it’s finally time. BSG is coming back. And oh, I should host a BSG homecoming party. Actually, the park should totally organise one! THE NEW 2014 CYLON RAIDER. At many angles. 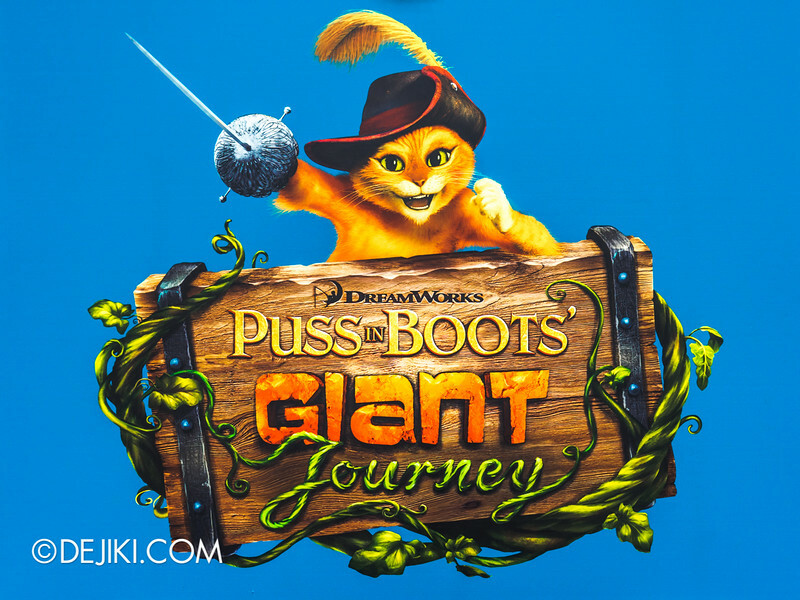 It’s never quiet at Puss in Boots’ Giant Journey. If you’ve attended HHN4 and queued for The L.A.B, you’d definitely notice that the workers are pulling all-nighters. Recently updated at the “teaser” carriage: A new poster showing the ride’s official art. The tower has more elements added onto it, but it has not been topped off yet. Bits of the giant beanstalk wrapping around the tower. The Giant Journey is of course, related to a certain character from the Puss in Boots film. The goose. To the right of the tower: Some generic-ish sheltered walkway. Pity it doesn’t blend in with the rest of the ride. Maybe it will be themed later on. What will this giant journey be like? For now we know that we will fly past some fallen towers..
And possibly bash through some stained glass windows. Exciting. Halloween Horror Nights 4 – Thank you! 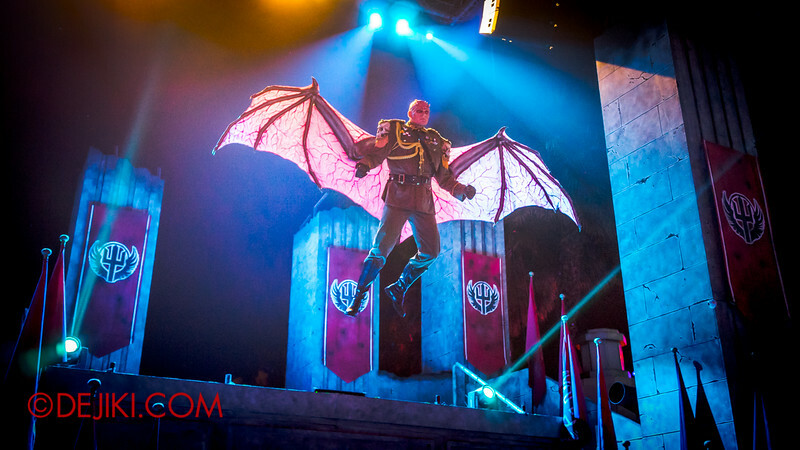 HHN4 is much more complicated to shoot than the past years, given that there is more ground to cover and the event is clearly getting more popular. It was very difficult to do everything alone but it feels like a major accomplishment to work on a big project like this. I look forward to covering HHN5 next year! Some scare actors have contacted me to get some large-size photos for personal use. If you’d like to request for a photo, kindly leave a comment or write in to me. For the entire event period, the park will extend its opening hours till 9pm. 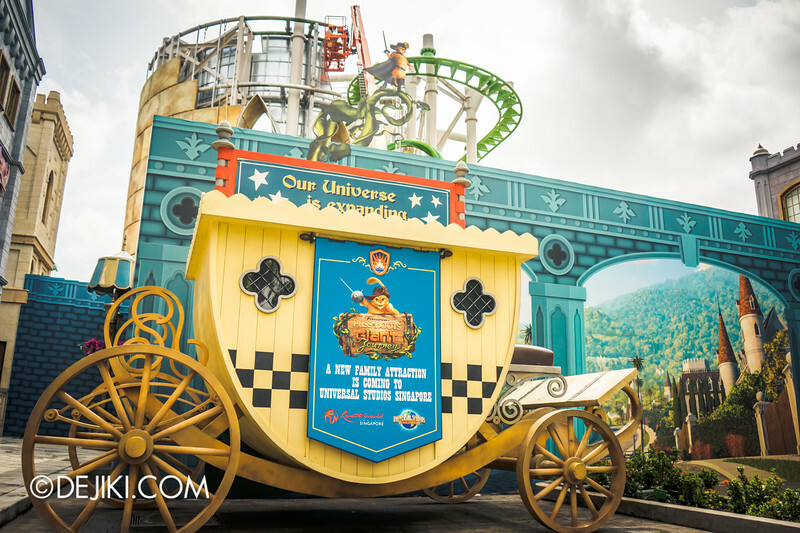 Apart from having more time to go on rides at night, there will be special performances and show. Scroll down and read more about it. Snowfall is no longer confined to New York Street. This year, snow will fall at the park’s three sheltered zones, every hour during the event period. 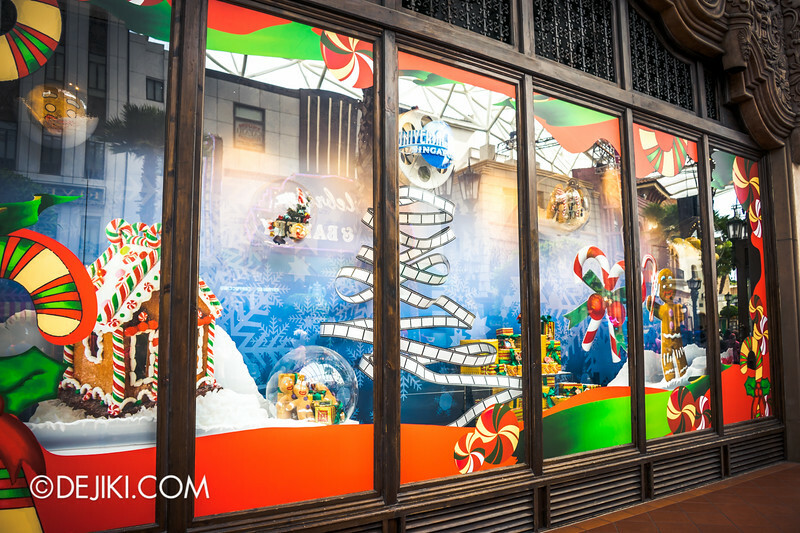 A new show, Santa’s Toy Soldiers, will be presented at the New York Public Library. 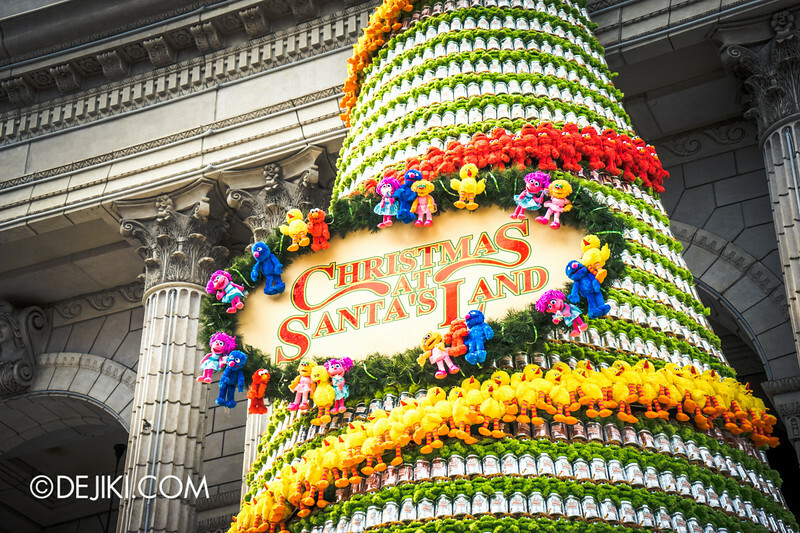 During the event period, Sesame Street Saves Christmas will take over Sesame Street – When I Grow Up at the Pantages Hollywood Theater. The Dancing Christmas Light Show will also return to the New York Public Library, along with a new video-mapping show, Winter Tales, which will be shown at the same location. On select Fridays, Saturdays and Sundays, the Christmas Fireworks Spectacular will end the night with magical bursts of light. This is apparently an all-new pyrotechnic show (new music, new sequences!). Note: This event was originally known as “Glow in the Park! A Neon Countdown” until it was renamed in late November 2014. This year’s USS countdown event will have a glow-in-the-dark theme, which has not been done at the park before. Will it be like Illumi Run, minus the run? Who knows, but it definitely sounds interesting to have the entire park doused in LEDs and UV lights. The night will be filled with light shows, neon acts (?) and uniquely costumed park characters. A tribute act, Black Eyed Tease, and DJ toMU will be there to make the party happenin’. 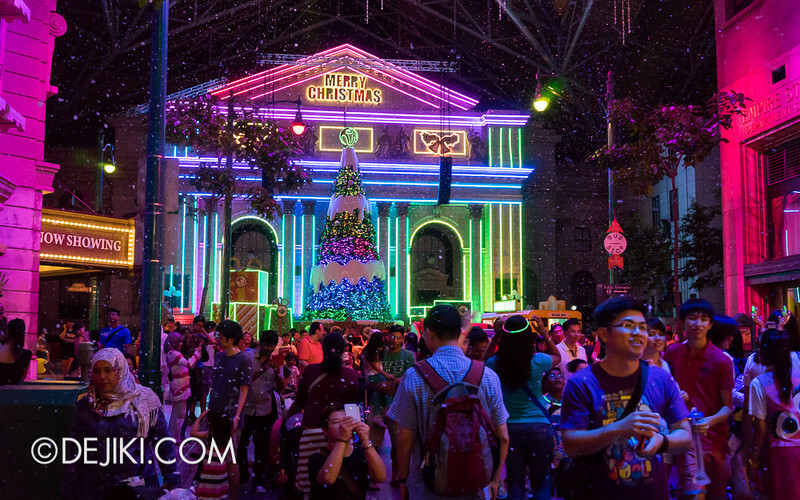 For the countdown, park hours will be extended to 1:00AM on 31 December 2014. 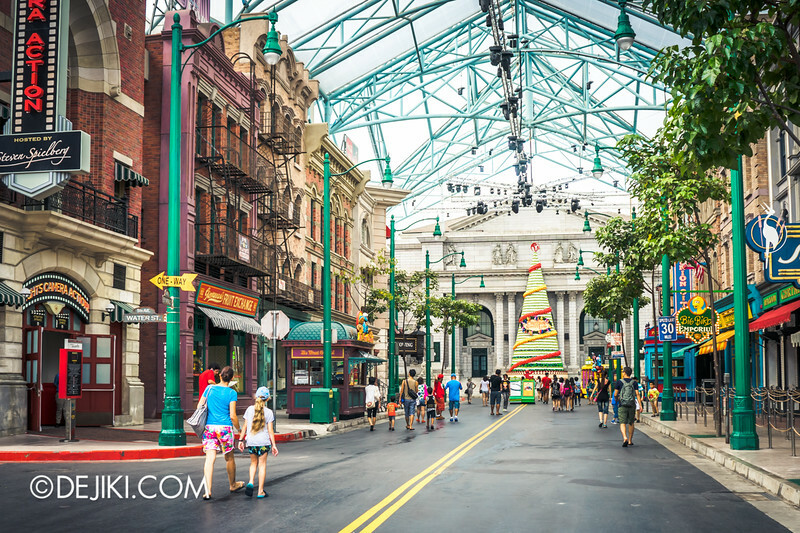 Guests who are visiting the park in the day can stay on till the park closes. The park will also offer After 5PM Event Tickets at $68 each. (Early Bird: $58 if you buy before 1 December 2014). With the departure of The Minister of Evil, a harmless looking stage has replaced the Minister’s grandstand. The new Christmas tree is up at New York. 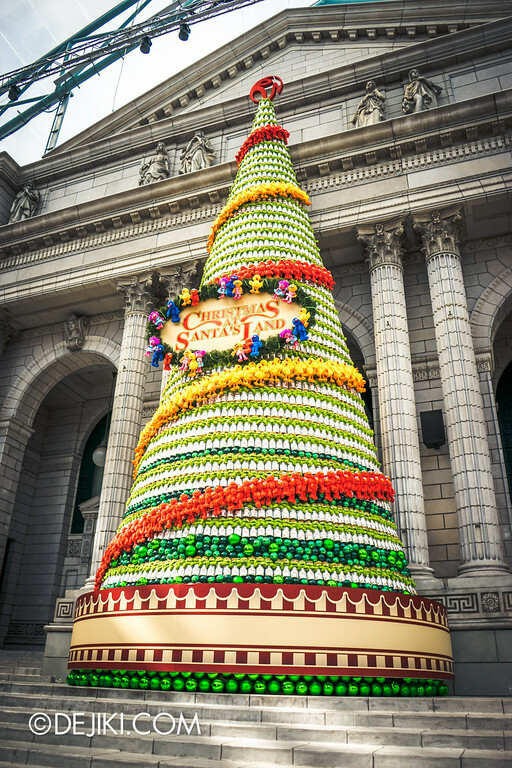 It’s no ordinary tree this year, as it is constructed out of Sesame Street plush toys. Definitely a good use of the Oscar plush toys. There must’ve been a project runway moment. It’s a bit strange to have the toys dangle about like this around the sign, though. 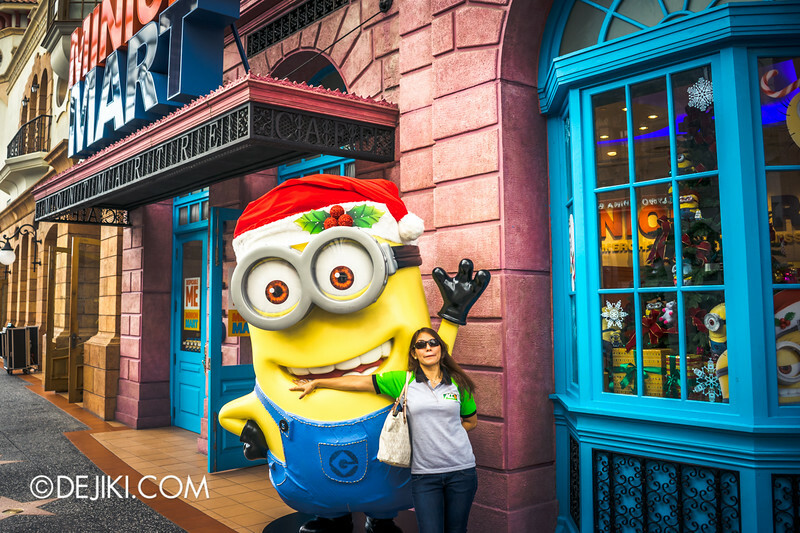 The Giant Minion is now wearing a Santa Hat. During Halloween, it was holding a Pumpkin. What will be next? 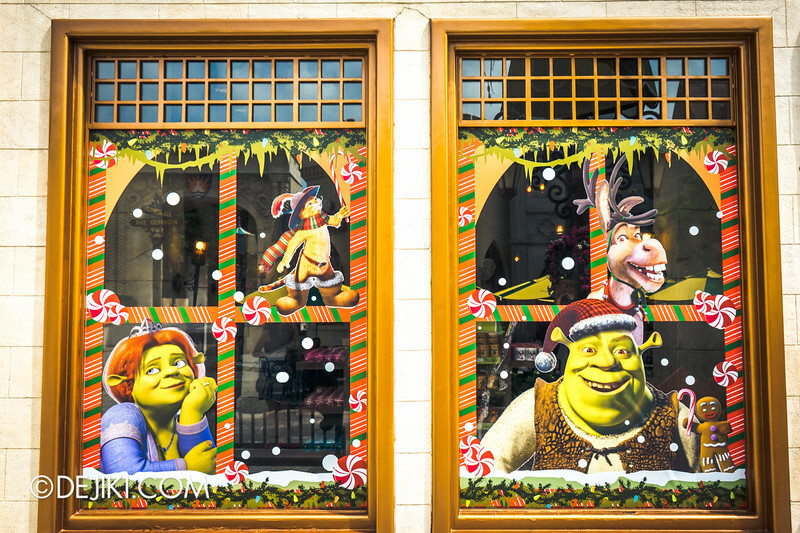 There are seasonal store windows around the park now. 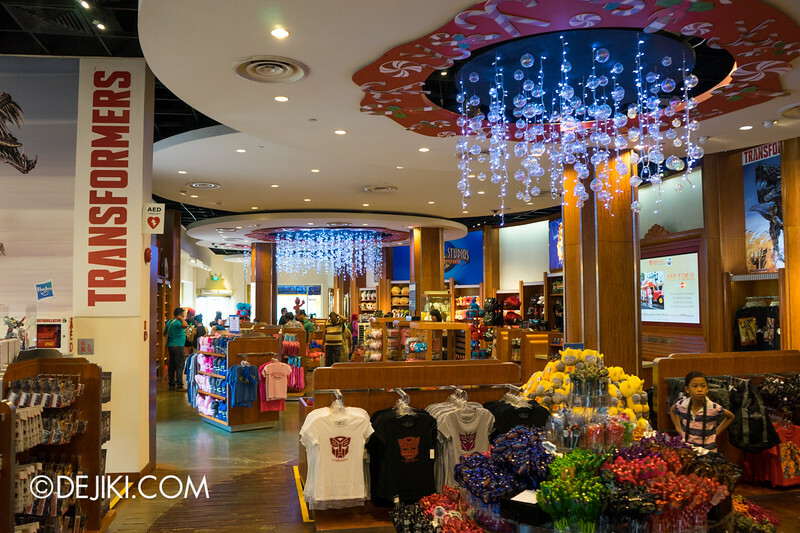 The one at the Universal Studios Store (Hollywood Zone) is definitely the most outstanding. Snow perpetually falls at this display! 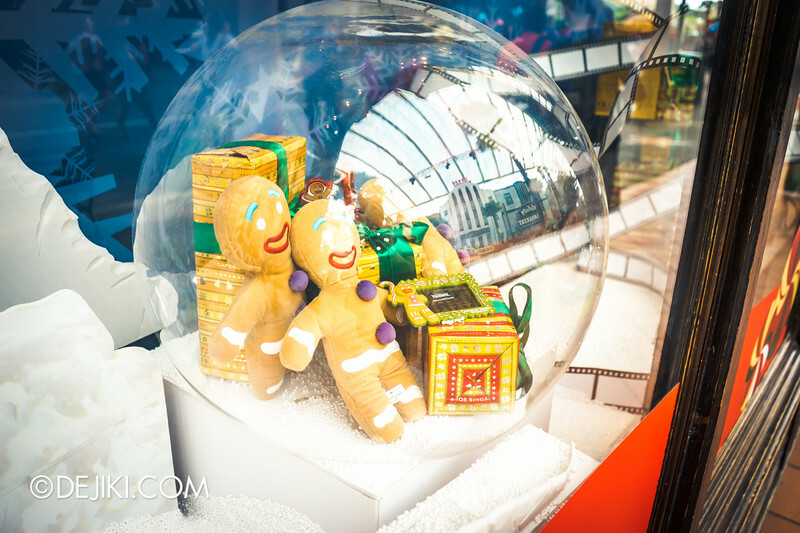 There’s more to Christmas than Gingerbread Houses and Gingy, but for now, that’s the main focus of this display. 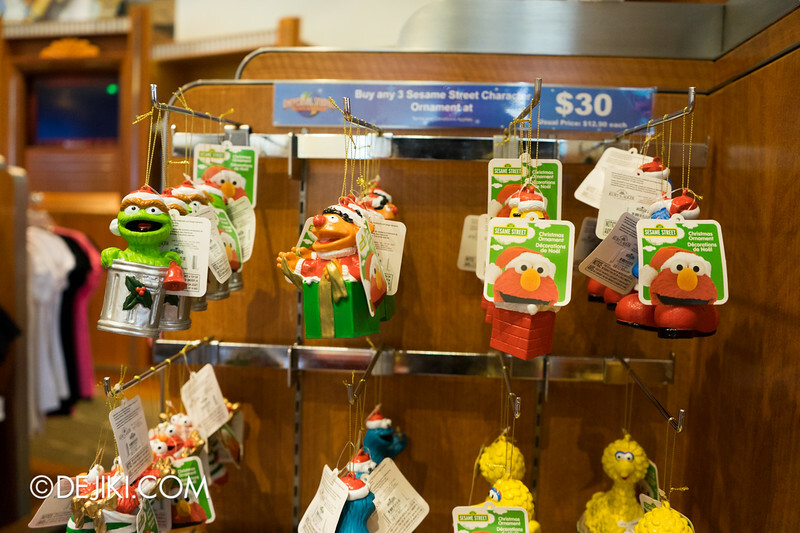 Inside the store, you can find more festive items. 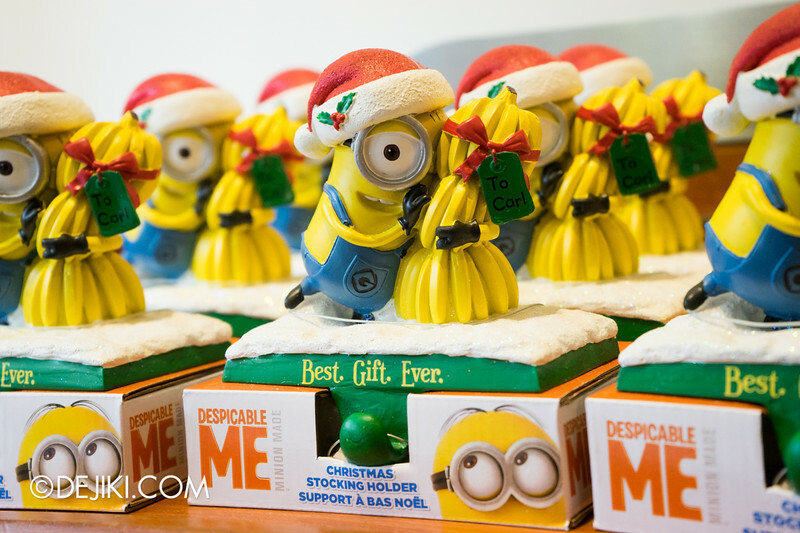 But I guess most people would rather get these Minion items. 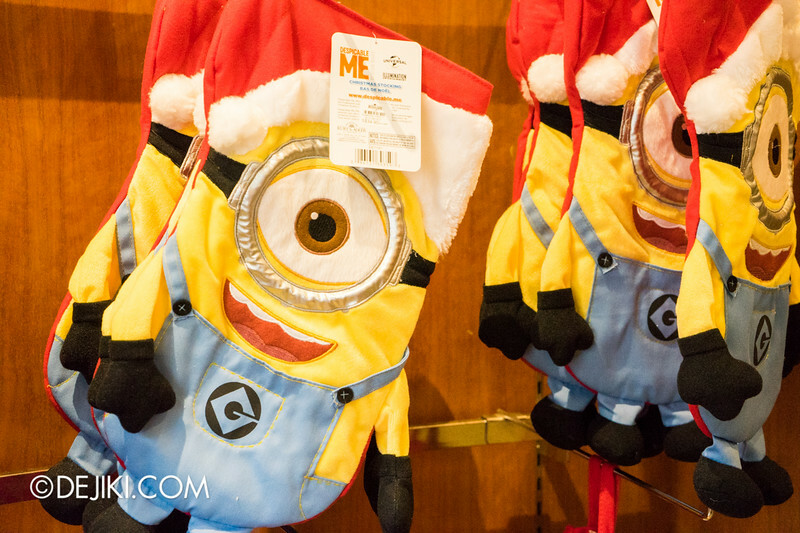 This Minion Christmas Stocking ($34.90) perhaps? 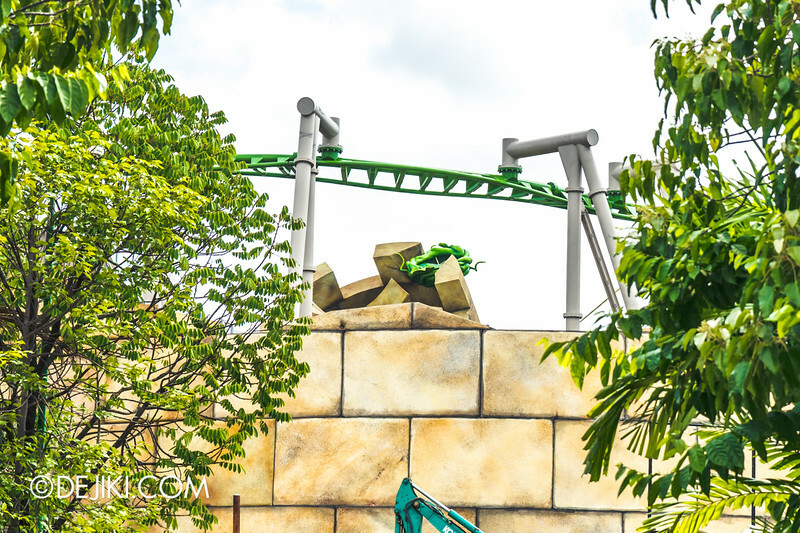 Check back next month for more photos and coverage on Battlestar Galactica and Santa’s Land at Universal Studios Singapore! WOW! There is a lot going on! I am going to check it out tomorrow myself! Btw, just for your reader’s info, they have increased the Annual Pass and Season Pass prices as of 1st Nov 14. Would be an additional info to add for your viewers. The park looks better with all those christmas decors. 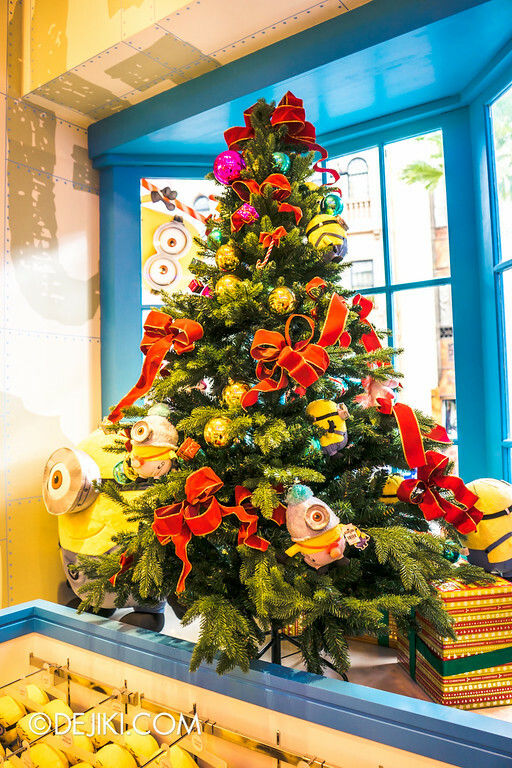 I can’t wait to check out those new Despicable Me merchandise and I am still hoping that they construct a Minion ride in the near future. Do you know when is the exact date the Puss in Boots ride will open. 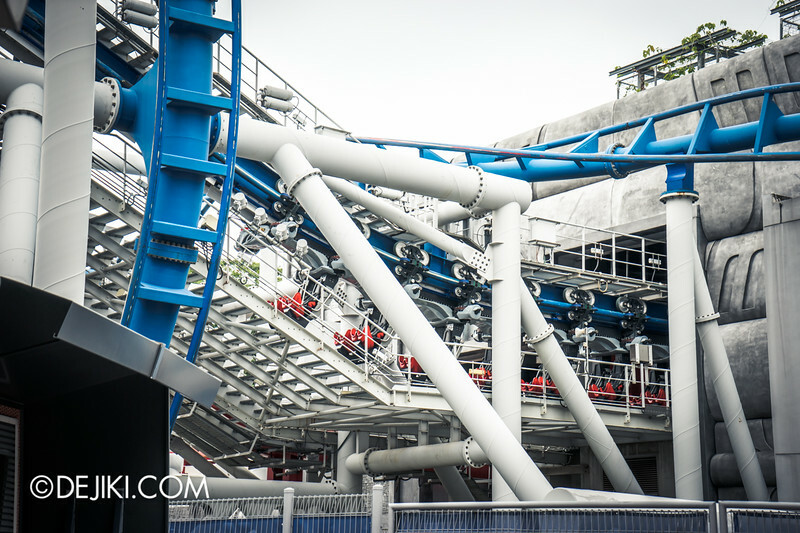 I am coming to Universal Studios Singapore this december and I hope the Battle Star Galactica ride and Puss in Boots ride in now in operation. I went yesterday! I was so glad to see the christmas decoations up, although not totally ready yet I guess. I also saw the blue crystals at the Battlestar area. Frankly, I’ve never seen them before despite going to the park numerous times! 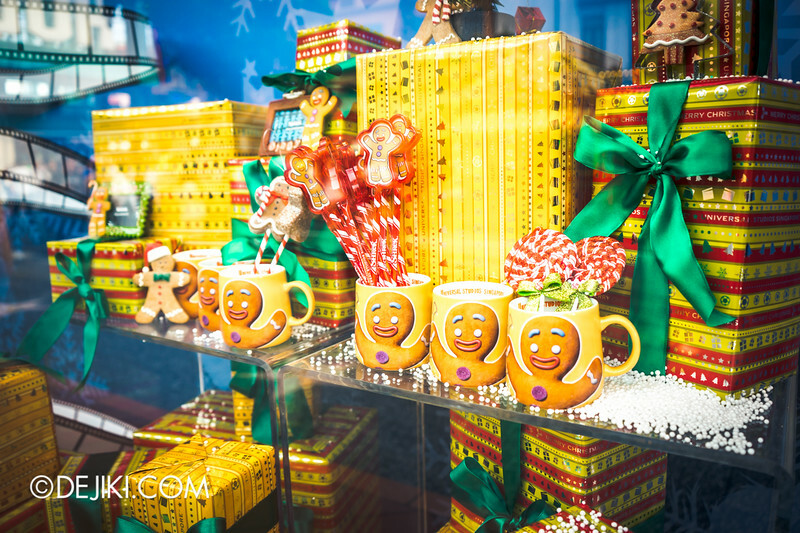 I like the idea of the Gingy decorations and I can only hope he will be doing meet and greets this season! 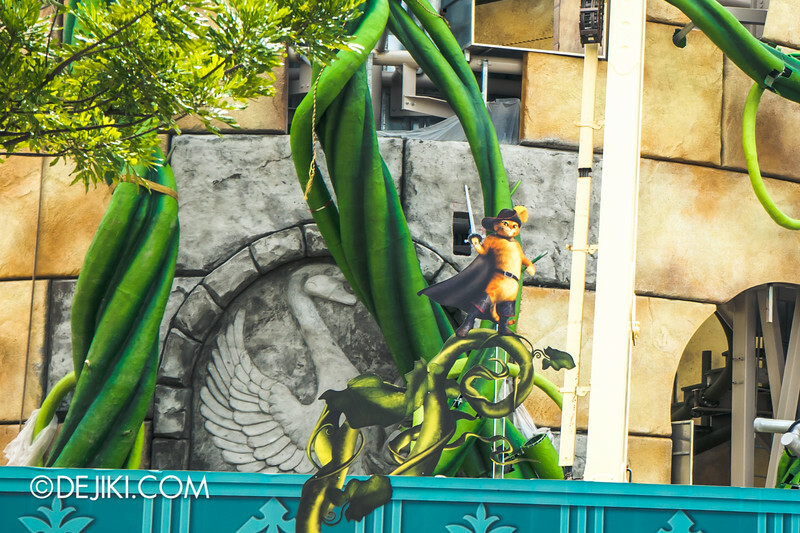 Will you be doing an update on the Hollywood Dreams Parade when it returns on the 15th? I’ll be away so I can only catch it later on! I miss the parade and while I’m not sure if any great updates are coming, I sure look forward to seeing it! Any idea if the countdown party is free for season or annual pass holders? As much as I am delighted to see the progress BSG has made, I’m a little concerned with issues regarding ride capacity. Now that each train’s ridership is reduced to half, isn’t there the potential of queuing times to double? The waiting times previously were already horrendous enough, I can’t imagine having to wait even longer just to be able to ride on them once. Hi Timothy, Revenge of the Mummy has reopened on 29 November 2014. Every time I need a confirmation (semi or full) I will look for your website. I cannot wait for the BSG to reopen! Thank you for the updates. I don’t know how we would manage without this site. 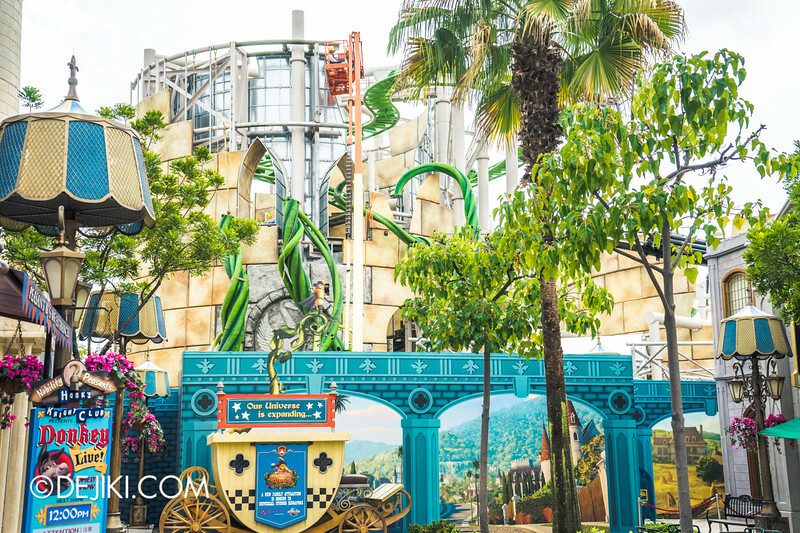 The RWS website annouced that Mummy ride is currently unavailable. Anyone knows why and for how long? Hi Marcus, Revenge of the Mummy has reopened on 29 November 2014. 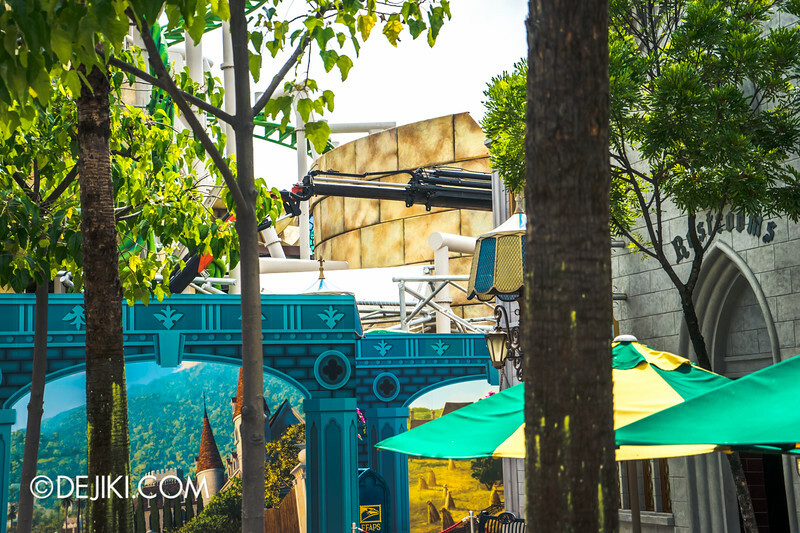 The temporary closure was due to technical difficulties with the ride system, which has been fixed. Was at rws recently and I saw a poster of the countdown and it says “Dance in the park” instead of “Glow”. They changed it? Yes, the event was renamed a few weeks ago. It’s still the same programme but with a new look for the posters. 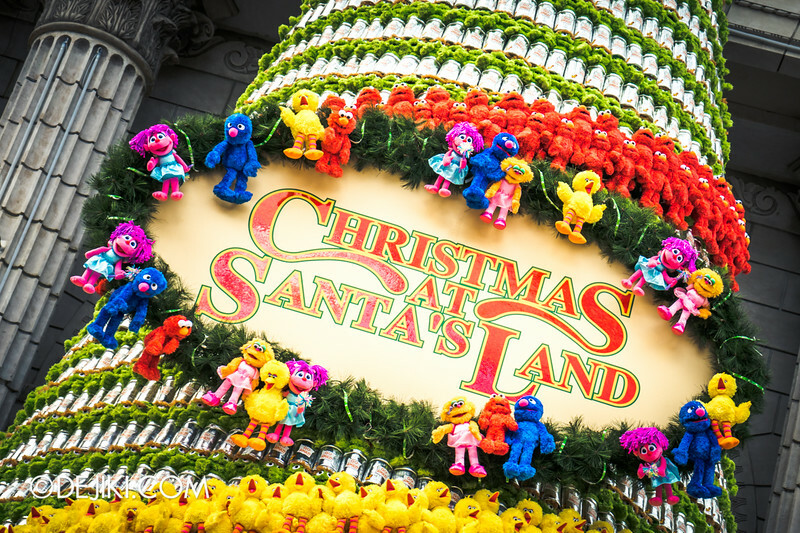 Do i still to pay for santaland if I have the season pass? U mentioned it’s free for the countdown party, but how bout the christmas one? 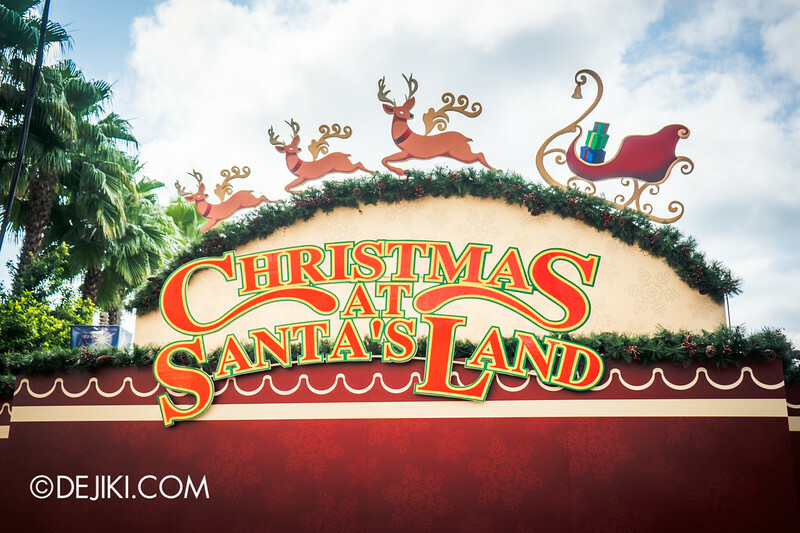 Santa’s Land is included as part of the park’s normal operations during this season. 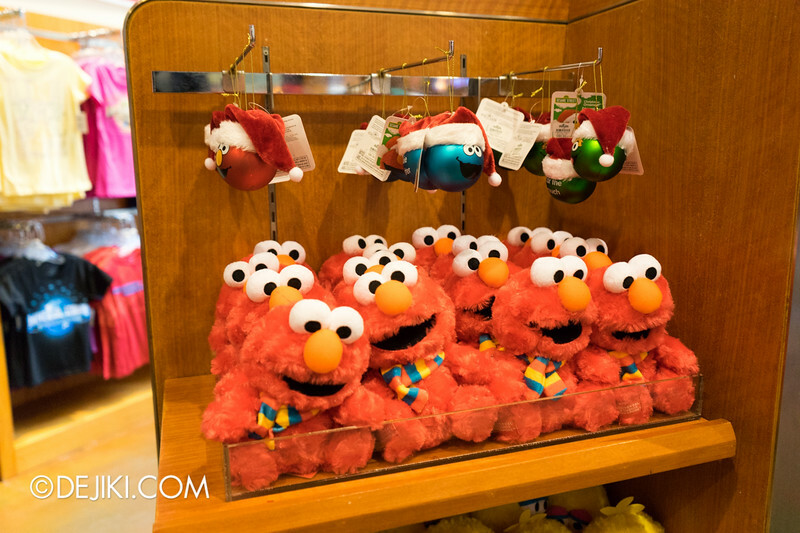 Season Passholders can all enjoy this event.